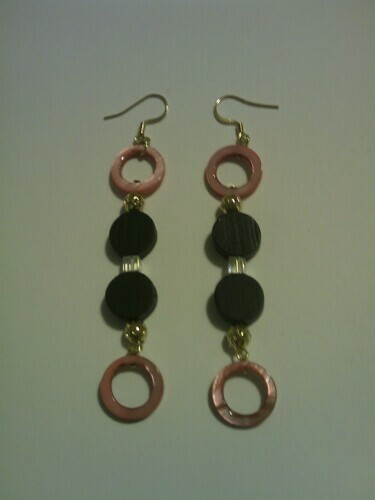 These earrings have been an ongoing project for me. Some of my original plans included white beads that did not work out. I loved them when I bought them but I just hated them when I was working out my design planning. This was also my first chance working with REAL GOLD findings, including jumps. I think they turned out right, though if I had it to do again, I would use more crystal beads and gold balls. I’m excited because the process of making these has given me lots of ideas. Very cute! I’ve never made earrings even though I have all the stuff to make them lol. Thanks. I am so there with you on having stuff to do stuff. LOL.